When cottage gardens became fashion, thanks to Gertrude Jekyll. In the early nineteenth century English garden writer John Claudius Loudon first recognized the cottage garden as an important form of gardening. He was attempting to reach gardeners wherever they were. It was not until English garden designer Gertrude Jekyll (1843-1932) appeared on the scene however that we had people replicating the cottage garden in what was then called the ‘stylized’ cottage garden. What is important here is that Jekyll became the artist who gave form to a garden she called the cottage garden. it was her interpretation of the cottage garden for the middle class. 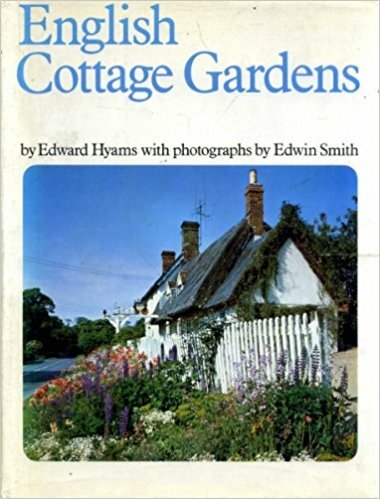 Thus the cottage garden became a ‘style’ of gardening, or as Hyams writes, a stylized garden. The style was anything but the long flowing lawns of Brown that had distinguished the English garden in the later part of the eighteenth century. We witness here the birth of a garden fashion. It has lasted to this day. We still think of the cottage garden as an old familiar relative. We know it well. It seems to have been around forever. It is in reality the interpretation of Gertrude Jekyll that we share in its ‘stylized’ form. Cordylines fill Fort Lauderdale garden center. 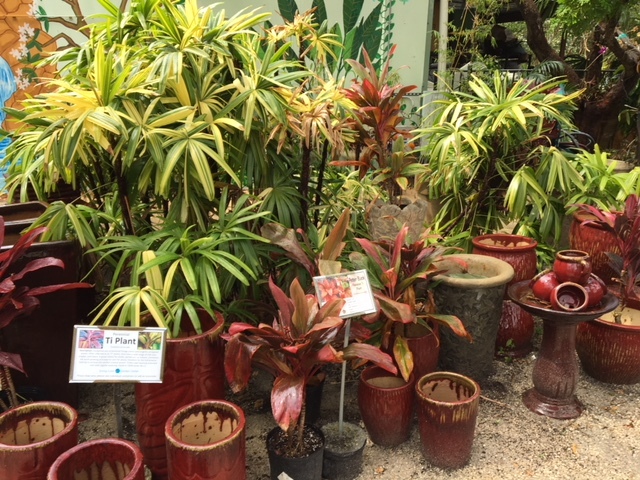 On a recent visit to Fort Lauderdale I could not resist a visit to a nursery called Living Color Garden Center. I passed it regularly on the road to the hotel where I was staying. The colorful plants behind the large fence that surrounded the property caught my eye. The plant I noticed as I walked around inside had to be the tropical plant called cordyline. I also found another red called ‘Chilli Pepper’. A showy cordyline offers a bit of a Victorian look to the garden in the summer. Introduced into Europe in the early 1800s, the cordyline became important during the Victorian period. English garden writer David Stuart writes in his book The Garden Triumphant: The Victorian Legacy that during Victorian times the cordyline became the ‘dot’ plant which was surrounded by many other flowering plants, whether in a container or in a flower bed. Today a gardener can choose from among several varieties of the cordyline for a bit of that Victorian look. You can find the species cordyline fruticosa or Hawaian Ti at both box stores and some nurseries in a gallon and a half container. You may have to look in the indoor plant section of the store. This cordyline is much taller and wider than the popular cordyline australis ‘Red Star.’ In the pot it stands almost two feet high and more than a foot wide. It can easily fill a large container by itself. In warmer areas of the country like Florida cordyline grows outdoors all year. The plant originates in tropical Asia, Australia, and the Pacific Islands. What is amazing about the cordyline is its long showy, stiff colorful foliage. It is the perfect plant choice to add that lush tropical color to any outdoor summer environment. Easy to care for, it is tolerant of both over and under watering. 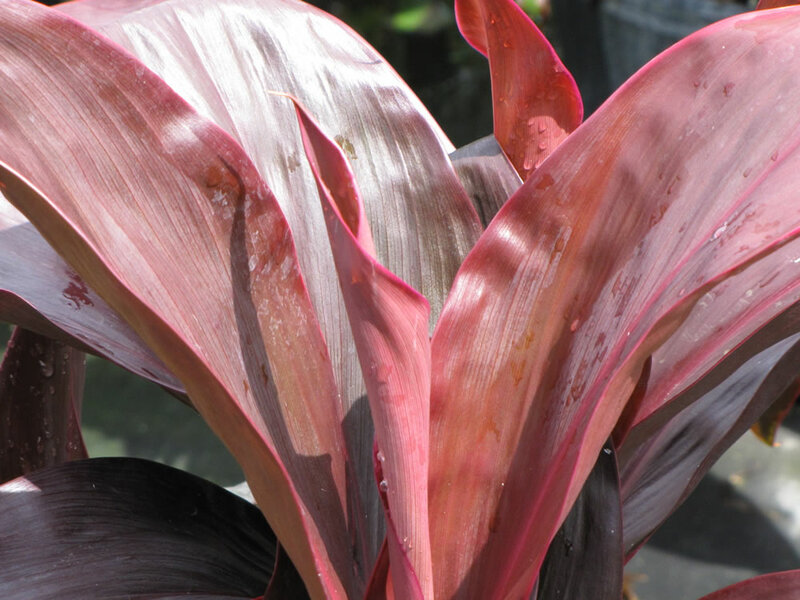 Though the cordyline is a tropical plant, once popular in the Victorian garden, it certainly can still add both color and structure to the summer garden in areas with a warm summer. Everybody loves the cottage garden. It holds a mystique of a garden, limited in space, but with plants galore, mostly flowers. There were cottage gardens in England for centuries. If you define the term as the garden of the worker, at the time of the monastery garden in the Middle Ages, for example, the townspeople who knew the monks probably received plants from them for their own gardens. That was a cottage garden. During the time of the landscape revolution in eighteenth century England, it was only the garden of the aristocrat, or wealthy landowner, that was discussed in poetry, articles, and books. 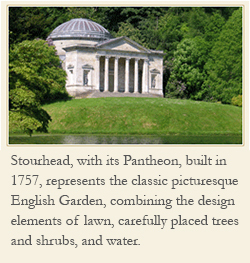 The term ‘English garden’ meant at that time the landscape of the gentry. It was not until the beginning of the nineteenth century that the cottage garden began to be seen as an essential form of garden. When the Loudons recognized in their writing the importance of gardens other than those owned by the wealthy, the cottage garden became an important topic in garden literature. The Loudons opened the door to an appreciation for gardening by social classes other than the aristocracy. 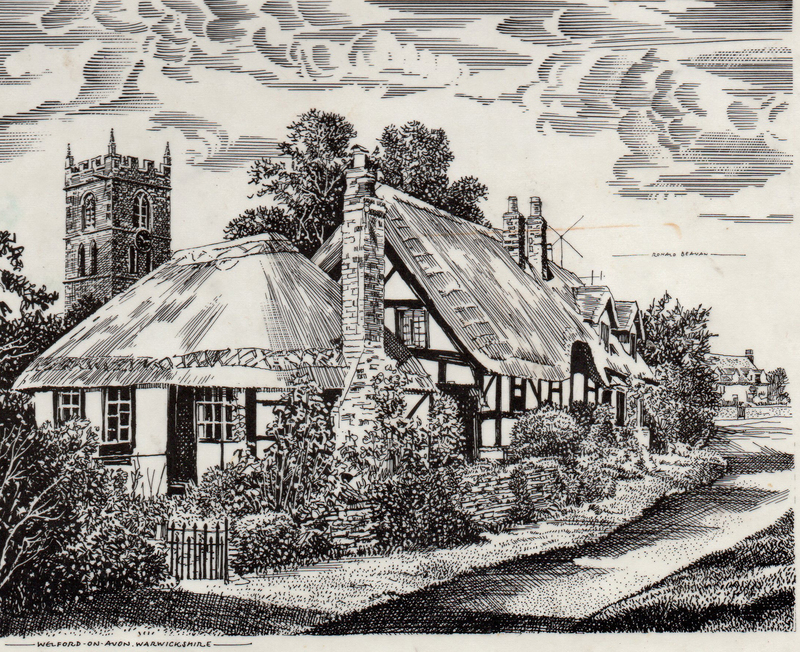 It was no surprise then that the magazine Cottage Garden began in 1848. It was when the Loudons wrote for suburban gardeners and cottage gardeners that gardening changed forever. Garden writers learned from all styles of gardening including the middle class and the worker. They wrote for anybody who gardened. Cottage gardens finally became an important topic. Connecticut’s Flower Show Included rose tale. Nineteenth century Rochester, New York seed company owner James Vick included a letter from a customer in his Vick’s illustrated Monthly of 1878. The Connecticut Flower and Garden Show, held a few days ago in Hartford, included a wonderful exhibit about the rose. 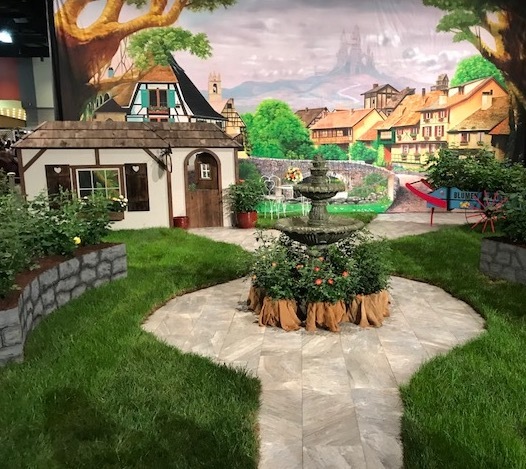 The Connecticut Rose Society created a setting for the mythical Bavarian town called Rosenburg. In the town of Rosenburg roses flourish in the best of conditions. Baron von Herz who lives in the tall castle on the mountain grows roses for his wife. The people in the town also cultivate many rose gardens that include climbing roses as well. Unfortunately the Baron becomes ill and dies. His widow, distraught over her husband’s death, turns against the town people who treasure their roses. She sends diseases like black fungus spores and destructive insects to their roses. She holds these pests in her beatiful embroidered bag meant to deceive onlookers. The villagers call her Baroness Dunkelherz (Baroness Darkheart). The only recourse the townspeople have is to watch for her visit. Thus the roses continue to bloom only with vigilance at all times. Doesn’t that seem to be the story in cultivating any rose? The Connecticut Rose Society told the story well. 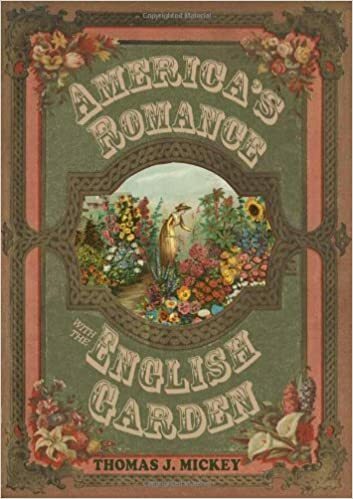 Order my book America’s Romance with the English Garden today.